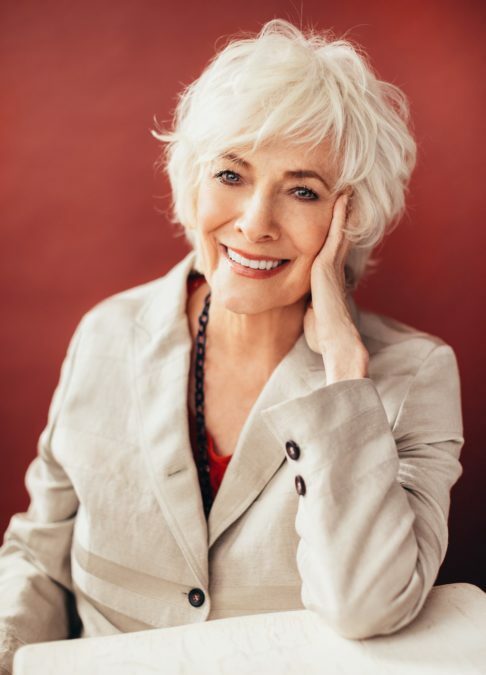 Listen and hear that brass harmony growing: Broadway legend Betty Buckley (Cats, Carrie, Sunset Boulevard) is headlining the national tour of the Tony-winning revival of Hello, Dolly!, which officially opens at Cleveland's Playhouse Square on October 5. The Tony winner recently sat down for a chat with Broadway.com Editor-in-Chief Paul Wontorek and opened up about why bringing Dolly Gallagher Levi to cities all across the country was a "no-brainer." Hello, Dolly! is a well-loved favorite for many Broadway fans, but Buckley fell in love the musical more recently. "My senior year of college, I came to New York on vacation and my friend took me to see Pearl Bailey [in Hello, Dolly! ], but to be honest with you, I never really got it until I saw the show a year ago [on Broadway] and I was gobsmacked," said Buckley. "It was truly one of the greatest pieces of musical theater I've ever seen. I understood the story for the first time, and I was deeply moved by it." Of course, Buckley fans across the U.S. are anxious to hear her sing Jerry Herman's beloved score, especially "Before the Parade Passes By" and the show's title song. "I never really sat down and analyzed the score before now, and it's beautiful, beautiful music," said Buckley. "These incredible new arrangements are just gorgeous. I haven't sung like this in a long time, I haven't used that Broadway-ringing-belt thing in a long time, and reclaiming that has really been joyous for me." Buckley has a bevy of Broadway favorites joining her in the national tour, including Lewis J. Stadlen as Horace Vandergelder, Nic Rouleau as Cornelius Hackl, Analisa Leaming as Irene Molloy, Jess LeProtto as Barnaby Tucker and Kristen Hahn as Minnie Fay, and the star feels blessed to have such a stacked ensemble and touring family. "Our cast is out of this world! They are so adorable, so cute, and sing like angels," she said. "And they're funny! And our dancers just amaze me. I'm dancing on stage with these amazing dancers! It's so great." Check out the full One on One interview with Buckley by watching the video below; and click here to find out how you can get tickets to see the national tour of Hello, Dolly! when it comes to a city near you.